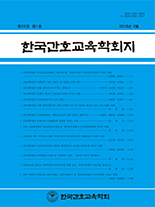 송주은, 채현주,(2014).간호대학생의 감성지능 수준에 따른 스트레스 정도 및 스트레스 대처방식의 차이.한국간호교육학회지,20(4),502-512. Purpose: The purpose of this study is to identify differences in stress levels and stress coping strategies according to the degree of emotional intelligence in nursing students. Method: Study participants included 367 nursing students from three universities in Gyeonggi and Chungnam provinces. Data were collected through a self-administered questionnaire in December 2012 and subsequently analyzed via the IBM SPSS 20.0 program with descriptive statistics, independent t-tests, one-way ANOVA and Scheffe tests. Results: The emotional intelligence of nursing students was slightly higher than average. Perceived stress and clinical practice stress among nursing students were high and nursing students used more problem-focused compared to emotion-focused coping strategies. Nursing students who had a higher level of emotional intelligence exhibited lower levels of perceived stress (t=2.26, p=.025) and clinical practice stress (t=9.37, p<.001) and more used problem-focused coping strategies (t=-7.56, p<.001) than those who had a lower level of emotional intelligence. Conclusion: These results suggest that nursing interventions to improve the emotional intelligence of nursing students are necessary to manage stress more effectively.